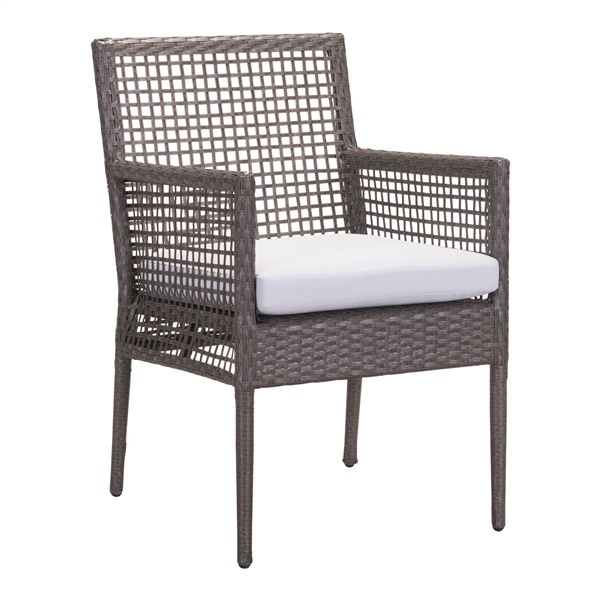 Select the Coronado Dining Chair for your outdoor patio area � you'll be glad you did. The perfect combination of fashion and function, this dining chair is constructed from UV-resistant synthetic woven resin that will maintain its appearance for years to come. It also boasts a plush seat cushion and angled back to ensure you can sit comfortably for hours. Dine outdoors without sacrificing your distinct sense of style thanks in part to the Coronado Dining Chair.